Tor network privacy for the hyper paranoid internet user. Tor networks for those seeking privacy from the ever creeping internet that seems to want to know about your privacy and browsing habits that branches of American governments like the NSA only dream of. Now I’m not poking fun at the paranoid users of Tor because with all paranoia there’s a basis of truth behind it. I fully support anything that keeps the browsing habits away from governments and corporations only interested in getting the most pay-click out of your site. Whenever you type something into a search engine and suddenly it responds with items that are local only to your area that is a company using your IP address location against you in the hopes that you’ll respond better to one of their advertisements. It is a network of encryption and proxies serving that encrypted data back and forth between a series of node PC’s scattered throughout the world to allow people to mask your privacy. A lot of professionals use the Tor network such as journalists when they are doing research on a subject which they know they might get monitored in reverse on or if the subject they are researching is just about illegal in nature. For more information you can click here to find out more about it. You can get into Tor by clicking here to be taken to the Tor Project. Why do you care about TOR suddenly? Last night, I received some complaints from Tor users about my site. So I loaded up the Tor Browser which is nothing more then Firefox with a Tor network overlay on it to confirm this issue. I started to lookup HTML5 canvas image data and quickly got run into circles about what it is or what even its all about. I initially thought one of my plugins is firing report data back to one of its devs so I even disabled all of the plugins within my WordPress. However, it continued to do this. I found out eventually that there is such a thing as ‘good’ HTML5 canvas image data. That my site actually uses it to find out what resolution your browser is in order to reformat all of the text that you see on it. That if you blocked it, or “Never for this site” then the responsive code will not resize the text properly as well as other functions of my website such as sketches. I don’t trust you S, what are you going to do about it? Nothing, I understand WHY the Tor network is paranoid of HTML5 canvas data. 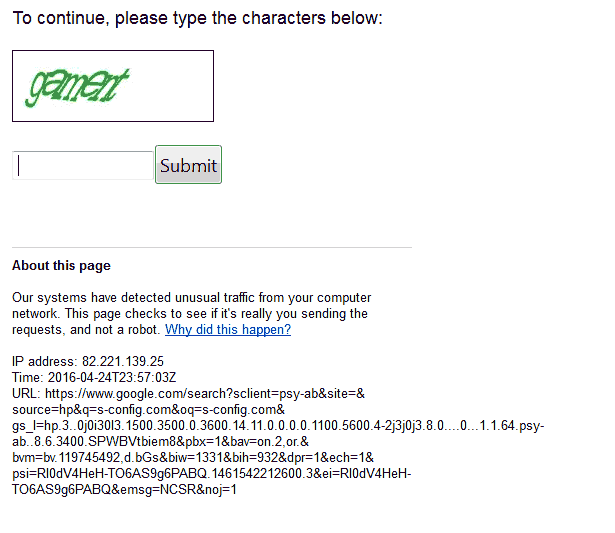 It’s just that I will not cripple my website in order to remove this notification/error from Tor based browsers. If you don’t trust my site then you are free to block it. As I have legacy links on my site as well as my more fancy pants java-scripting going on you will still be able to navigate my site with the maximum of protection enabled. Just know that I am not harvesting any information about who you are or where you live. Those are the reason why I dropped using Google Analytics and even Statcounter. The only information I am concerned about is my Jet-pack plugin telling me that you are getting your data. That’s it! What? Did you honestly believe that anonymous browsing would be easy? Some site that use the Cloudflare web firewall service will present a screen similar to the one above to you. Often times the Captcha recognition software is not going to work right and will take a few tries before being finally let through. Since you are within a Tor network. You are now seeing the net similar to how bots and scripts see the net. Sites that are using services similar to Cloudflare will place this roadblock up to prevent malicious users from executing DDOS attacks against whatever web service that they provide. Google is really no different about it. And their reasons are hidden behind the notion of DDOS. But in reality they just want to make your browsing experience as difficult as possible hoping you would go back to a normal browser where they track you happily. However, this does not stop us for using Google as typing in results from different Geo-Locations thanks to Tor allows us to see differences in the results that you are being proxy’ed from. Frankly Tor network technology is something that should’ve came out a long time ago. If it came out early enough it might have even slowed down the greed of ad-revenue based sites from practically ruining the net like a plague of locusts. But we’re glad it’s here now. This cannot be stress enough that as a user of the net that you are responsible for your own data. And the moment you give someone else that data and information then you are bitched. You are nothing but a slave to the people who hold that data about how to think/live/act.